With this nail starter kit, clients will enjoy stronger, lightweight, and natural long-lasting nails. Our easy-to-use dip powder feel natural and do not damage the nail bed. This nail starter kit is professionally formulated without harsh chemicals and contains complex bonds that keep it from chipping, discoloring and lifting. 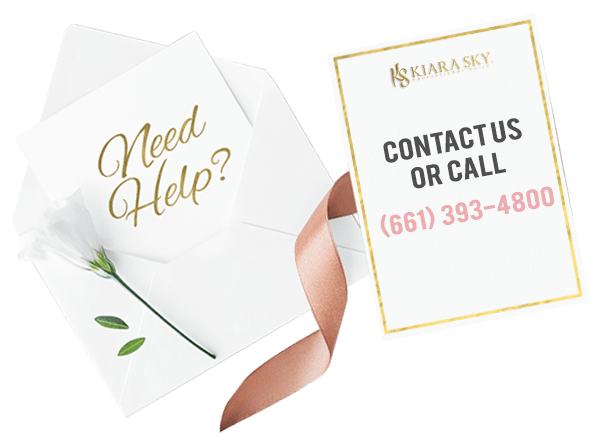 Our Kiara Sky Dip System is an all-inclusive professional nail kit that comes with everything you need to create elegant French manicures or beautiful full coverage overlays in less time than traditional acrylic application. See why Kiara Sky's dip system is the healthier alternative for nail enhancements. I got my dipping powder starter kit. Love it. Simple to use. Live the results. Never Going to the Nail Salon Again!! This French Manicure dip set is SOO easy to use! I'll admit that I was skeptical about this at first, but I was pleasantly surprised at how easy it is to get a perfect french manicure. I also love that the kit includes different shades of pink and white to customize your mani. I don't think I'll ever go back to the nail salon after buying this... my manicure looks perfect and professionally done. Do yourself a favor and buy this kit - it's worth the investment! I’m never going to pay someone to do my nails ever again! I need more!! D.i. Y for life! This is the ultimate kit for d.i.ys and many more. I remember the last time March 2018 going to the salon for tips and I just did not like they way they did my nails at all. They where crooked and I could have done a better job myself! The tech was pushing me to get gell and this and that “it will last longer speeches” I had to shut her down like hell nah I’m waiting for my kit! It was exactly 2 days before my kit came in and I was like extactic because when it was time for my fill in.. baby! My nails looked like I went back to a top notch nail bar and I did a BETTER JOB than the nail tech!! I just need more colors to complete my collection-my life will be complete ! Will buy more! It’s not complicated and I can do it my way in the comfort of my own home! Im in love with this set its exactly what i was looking for. It was really easy to follow the step and with all their videos even more. Thank you Kiara sky for making a product like this now i can do my own nails at home. I heard about this product through a youtube video and at first, I wasn't sure if it really was worth it. I have been eyeing the product for about a year and as a salon veteran, I didn't think to do it myself at home like this would work. But it really does! It's easy to work with, doesn't smell even close too as bad as at the salon and the packaging is beautiful. It takes some time to get used to and I had to try a few methods to find the one that worked for me but after a few times, I really got the hang of it. I love the colors because I can use them to create the french tip or just as an all white or all pink nail. (basically, my everyday looks.) I add another topcoat with some sparkles and holographic powder in it and then its all of a sudden a party looks! TIP tho. Make sure you have a great nail file because otherwise you are stuck with a lot of work if it doesn't work out as well in the beginning. Nice product. Easy to use, but need a little bit of practice. Shipping was fast and good, even getting it in the UK. Thanks a lot for this product. I'm loving it. Good products! Easy to use, and contains just about everything you’ll need to do your own nails without having to pay $60+ for someone to mess them up and have to tip them for it! Salon quality French mani without having to spend forever perfecting the white line and it has lasting bright white color! I love the many pink options it comes with, so far my favorite is the medium pink (even without the white). Been eyeing it for a while and finally decided to buy it. Now I'm wondering why I didn't bought it sooner! What an amazing system to work with. So much easier than acrylics, gel or polygel and so much faster. Now I can do my nails faster and easier, love it!! I've been eyeing for "dip powder nail system" for few months. After reviewing Kiara Sky along with other companies, I decided to give this kit a go. I was very keen on the fact that Kiara Sky had the "least odor" and very user friendly. And I'm so glad I decided this one over others! As advertized, there is minimal smell, very finely milled powder that applies flawlessly without any techniques involved (you just have to apply base very thinly if you don't want too much filing at the end), and I was able to get beautiful set of french mani in such a short amount of time. I do not like, rather hate acrylic; they're heavy, thick, and just uncomfortable to wear. But the dip powder is very lightweight, applies thin, and love that it still protects my thin and bendy nails way better than gel polish. The top coat is rather tricky to work with, you need to apply very thin and dry well before applying 2nd top coat. If you apply thick, it won't dry and has that weird sticky layer that wouldn't go away. I finally understand how the top coat works, but would rather use my gel top coat for mirror shine effect. I was so pleased with this kit, I'm planning to add color powders and LED/UV top coat to try with the powder on my next order. Overall, very happy experience and highly recommended! I really love this powder system. It came with everything I needed and it was easy to apply. I wanted an alternative to the nail bed destroying acrylic and I found it in this dip set. The set overall is good, what bothered he was the last step with the top coverage. The product wouldn't dry at all, it would get very sticky and it would have a very strong glue scent. I ended up taking it off and putting a regular nail polish on top. I Love this powder System. It works very uncomplicated and the results are Beautyful. First time i use the powder system for my nails. Very happy with the result. I had some acrylic nails on from my salon here in town and I loved them. What I didn't love was the cost and that they weren't lasting much more than a few days to a week and they were already lifting. I came across this on YouTube and fell in love with the "easiness" of the system. I purchased the french system and gave it a whirl. I'm so freaking happy with my nails I could scream! Seriously! The system was so easy to use and so easy to follow. Two weeks in and my nails are still looking beautiful like they did the day I did them! I recommend this product to anyone who is wanting nice nails with out the cost! Awesome! This was my first time working with dip powder. The system was really easy to follow with clear instructions. The packaging is beautiful and well labeled. My only criticism would be that on purchasing the starter kit there was no indication that clear powder would be needed to be purchased separately. When following the instructions only did I realize it qas needed. Other than that, perfect product. Will definitely be using it regularly from now on. Have not worn my new nails for long so can’t at this time comment on durability. Easy for beginner and long lasting! This was my first time ever doing my own SNS nails. The kit came with easy to follow instructions and they fill their jars all the way to the top! After I did my own I got so many compliments and started doing so many of my friends and families nails! It was so easy and was so quick. The pigments are great even in the starter set and I was able to do an easy french ombre! These lasted me for about 3-4 weeks at a time and I didnt have any signs of them really wearing out and no problems with them falling off. Also, this product sat really well on my nails and I don't feel like there was near as much nail damage when I removed these. This has already lasted me almost 20 uses and I'm just now at the halfway point in my jars and have tons of the solution left! Buying this kit saved me so much money at the nail salon. I will be using only this system from now on! Perfect to get longer nails!!! I love this! Now that I know how it's quick it is, and I prefer to use a file and buff it without a drill. I hated the drill at the nail salons!!! I Place thin clear dip powder, then top coat, then regular polish because of my lovely vast collection of polish I have and nail polish over it, and "BOOM' works great ! Longer prettier nails no damage!!! I'm so happy with this product! Doing the French Manicure with designs with the kit! I'm no nail Tech but nobody knows! I'm always asked who does my nails especially when I water marble over these long babies! I have done my own nails for years at home. The smell is so strong that I've had to go to other rooms or even to the garage. This kit was the answer to everything. I watched a few videos online so I was pretty sure I knew what to do when it came. I read the instructions and proceeded to do my own nails with ease. It was so simple! I love that it came with extra brushes too. I am so very pleased with this product. The only reason I didn't give Kiarasky five stars is because I think there should be some clear and natural coloured powder included in the pack instead of one of the whites and one of the pinks. It was very securely packed for shipping and arrived in perfect condition. The actual packaging was aesthetically pleasing and displayed the contents nicely. All bottles and jars were in working order. The instructions included with the pack were clear concise and very easy to follow which added to the overall enjoyment of the process. As this was the first time I've ever applied false nails myself I was shocked at the results I achieved. I certainly won't be paying €50 to someone else to do my nails ever again and will stick with the Kiarasky brand as it was so user friendly and yielded excellent results. I would love to try other colours however it will be a long time before I can afford it again as the price is a bit prohibitive for someone on a tight budget. I wouldn't hesitate to recommend this kit to ANYBODY. In love with this starter kit! This kit is the best for beginners! There are a good amount of steps for each nail but after repeating it a couple times it becomes quite fast! There are so many colors and it is so much fun to apply to the powders, especially the ombre style! I would recommend this to anyone wanting to do their own nails and save money! I love this system especially for French manicure!!!! I've just recently started my nail course at home and have decided to use this product instead of the recommended products from my instructor. I'm glad that I went with this decision. I'm happy with the results after my first test run. Looking forward to testing the colour powders in the future. I just ordered the dip starter kit and after only 2 practice nails I was able to give myself the much sought after ombre french fade!! I was surprised at how fast it was and how strong it feels! Do yourself a favor and practice a few times, but after that it is very easy to apply like a pro! I loved it, its perfect and so easy to use. The only thing was that the brush for the topcoat have a clump and therefore it doesn't apply evenly. Otherwise, just perfect. I absolutely love kiara sky dip power!!! It's really fun and super easy to use once you get the hang of it! I'm totally obsessed with it, I can't wait to get other colors. The reason why I gave it 4 stars is because when doing your nails, in the instructions it says to apply the clear dip power over whatever color you've applied to protect the color. But the kit doesn't come with clear, you have to buy it separately, but you won't know that not until after you've gotten your kit n read the instructions!! So I had to use natural instead which gave my color a foggy finish which I didn't like. I feel like clear should be in the starter kit since it's in the instructions to use. But other than that great product, my nails look professional done and I'm not a professional. These products are easy to use and result in very professional looking nails. I tried another brand recently and with the result being adequate at best. This kit is much better and the results were great! I'd like to see the clear offered in this kit in place of one of the pinks but otherwise, a great kit with everything needed! By far the best system I have ever used. It's so easy to use!! I haven't got the hang of it yet but I'm pretty sure I will. I don't do nails professionally and don't have the money to keep getting them done. Purchasing this product, was the best choice I made. I am so happy I purchased this kit! I love my nails! I do them all the time now and have a salon finish every time! HIGHLY RECOMMEND!!! It was easy to follow the instructions, it takes a few times to get good on it I think but this is a great way to learn. just a warning, you become addicted and you will need more colors, even when the natural ones are beautiful as just that! I wish they included the clear powder ! Right out of the box straight to nails. Really impressive easy to use. Clear instructions. Beautiful powders. Low odor. I will be excited to see more teaching videos and trying more of the colored powders. Ive been eyeing this product for a couple of months on Instagram. And i wanted to buy a product that wasn't so long of a processes. Because i wanted to use it on myself and daughter. This product is so easy and my daughter can also use it by herself. You don't need a nail drill for this product. Im looking forward to buying more dip colors. I love this product! Just did my first set of nails with nail tips. Super easy to do. The only problem is the directions say to use clear powder as a protective coat but there is no clear in the kit. I used the natural powder and it worked fine. It may just be a wording difference. Very little filing is needed so a drill is not necessary. I love how easy the application is and how great the overall result is. I wish you could pick your colors instead of the kit just coming with French tip colors. I'm more or a colored nails person so the French tip dip powders don't do much for me. i have acrylics and needed a fill really bad when i received my starter kit. whenever i would paint my nails i would get polish all over my fingers, but i took my time with this kit and my nails actually came out pretty darn good if i do say so myself. the only thing, when i received it, there was powder in box and when i opened the base, the brush was stuck inside and detached from the white top, no biggie though for the quality and money i'm going to save going to the nail salon every few weeks. just waiting for more colors to come from glam and glitz!! I´m not a professional and got this kit. I LOVE IT! Is so easy to use and my nails look so beautiful, would be buying more colors. This is my first time using the dipping system. I absolutely love it. It is so easy to use and the quality is amazing! I will be buying more dipping powders in the future. I love the powder system. it's easy to use. I love it. I am highly allergic to gel polish and acrylic/gel based products. I actually had to give up my nail business due to the severe allergy, which I have been completely gutted about. I have been desperate to find an alternative nail enhancement system and pretty much tried all the products out there to no avail. The Kiara Sky kit is easy to use and no itchiness, no redness, nothing!!! It is expensive, but as I've found a system that does what it says, I feel very happy with my purchase. I will be recommending this to my clients and friends and I can't wait to try out some of the colours in the future. Thanks so much Kiara Sky for making me able to wear nail enhancements again and have beautiful elegant nails once more! I absolutely love this kit and the fact that the powder has vitamins. It's a much better way to do acrylics instead of the monomer and polymer ratios. Great colors, easy to do, and convenient to travel with. Also the YouTube videos give great tips on the full length tutorials. I love this system. It is very simple and lasts a long time. Love the product and the ease of application. I do wish they included the clear powder as it is referred to in the instructions. Can't wait to do my next set! So in love with this kit! I started doing my own nails because I don't really have time to go in every 2 weeks to get a fill. I tried another acrylic kit and it was okay, I ordered this kit after watching a bunch of YouTube tutorials and it seemed so much easier than any other kit. I absolutely love these products. It is easy to do if you have no training whatsoever. They are really durable as well! I work in a coffee shop and I constantly wash my hand and have them in hot water and use bleach they have not lifted or broken yet! Love the system just wish clear powder was included had to use the natural. Nails came out too white. Shipping was super fast. I followed the directions and did my daughter's nails and they turned out beautifully! I can't wait to try them on my nails next. Never used acrylic or dip powders before. Saw this product in a video on Facebook and was like looks easy enough. So bought it, tried, it, LOVE IT!! The only reason I didn't give it 5 stars was the base brush and the seal protectant brush, not the extras they send you, spaced out when I went to put product on my nails. I used the brush saver on both and still did the same thing but overall, this product is awesome sauce!!!! Easy to use and my nails turned out great! I really like this product and would buy again! I did have a couple issues though... 1. One of the dip powders was actually spilt in the packaging when I opened it. 2. As I was reading through the directions it says to dip nails into CLEAR powder, but, the kit does not come with clear powder so I had to skip this step. 3. Is it says there should be a KS dip case included, which I didn't not receive with my order. Beautiful results. Fun to use! Overall I loved this kit and the products are easy to use! A bit of practice is needed with the dip tray for French tips. Also it would be helpful if product came with instructions on how to use the brush saver! I absolutely love this powder dip system! The only thing I would have different in the starter kit is to have the clear powder included. The instructions state to use the natural powder ....then to it states to dip in the clear powder which was not included. However, over all amazing system! This product is the best thing ever. It's easy and just amazing. The color options are just beautiful. If you want professional quality nails at home this is the kit for you. If you can paint your nails you can use this system with ease. Cant wait to buy more colors! A very good product, easy to use. I got a dip manicure about a month ago and decided I could save money doing it myself. This kit has everything you need! I used it and even though my manicure isn't perfect I know I'll get the hang of it. Definitely worth it! This kit is amazing. Saw videos on Facebook and Instagram and decided to bite the bullet and try it. I tried it for the first time and I am so happy with the results! I have been recommending to all of my friends! Definitely worth every penny!! I'm very allergic to acrylic chemicals and this product doesn't react badly to my fingers. I love it. I found this system after watching a few youtube videos of people using this system. It looked easy so I wanted to try it out. It arrived quickly and I'm in love with how easy it was and how perfect they came out! I can finally do my own nails again!!! They last so long and are super sturdy (I know this because I jammed my thumb 2 days after putting my first set on and no breaking!). Plus this stuff doesnt damage your nails which is a huge plus in my book! I am a customer for life and have already ordered some colors!!! I would definitely recommend this to any woman that loves having her nails done but is on a budget! I absolutely love this product. The instructions are very clear and easy to fallow. I wish I would have known about this year's ago. It doesn't damage your nails like others does. I can't believe how perfect and clean it works! I wish there was a option here to share my nail result!! The dip starter kit was so easy to use and the results are beautiful! I wish I would have bought better nail tips though!! I've spent so much money over the years getting my nails done. I recently purchased the kit and I love it. The process is so simple and the results are flawless! I'm very impressed with this dipping system, and buying future colors. Great product and easy to use! This system it's so easy to do, my favorite.. I have never done anything like this 'by myself' before. I use gel polish but that was it. I saw a review on this product and asked my husband and daughter to get it for me for my birthday. I just did my nails today. They actually look pretty good. I am hooked! Thank you! I absolutely love my kiara sky dip powder system. It is very easy to use and looks amazing I've already saved $50 doing my own nails that's half the cost of the system I plan to use this from here on out and we'll be ordering more colors. I am absolutely in LOVE with the dip system! My nails look great and the best part is that they aren't damaged! I will continue to purchase more dip powders soon! Super produit qui se travaille très bien et avec une grande rapidité ! Gain de temps non négligable et très bon rapport qualité prix ! Je recommande ! This is an amazing product. The packaging is beautiful, and you can tell that these are quality products. I have never used dip polish before. The instructions are very clear and I was able to apply very nicely on the first try. I will purchase additional colors. It arrives today and I used it asap. I did my right hand first since I have lots of trouble competing my right hand. They came out great! The instructions are clear and you can improvise as you go. I did the baby bloomer style so I used a brush to flake the white powder unto my nails. They are not perfect but you can not tell they are home made. Amazing and easy to use ! I bought this product about two weeks ago and it shipped out quickly . The product itself is great ! Its extremely easy to use and leaves my nails looking fabulous! I love doing my nails and this starter kit , has saved my life from having to worry about nail salon appointments and not getting the results I want . I definitely recommend this !! This was my first attempt and the nails worked out quite well. I'm impressed. I followed the instructions to the letter and I didn't have any problems, other than filing but it's because I have various grit old fashion files but they still did the trick. The top coat application brush gets a little stiff if you aren't quick to coat but otherwise this is a fantastic product. I will have to get more colors! Love, love LOVE this product! amazing and beautiful results. a very good buy. Was a bit nervous trying this. Had medium expectations, was delighted with the final results even though it took some sanding and shaping to get them smooth and not so thick, but the results were beautiful and stronger than i thought. I had nail tips applied first and wasnt sure how it would look. But i immediately started throwing out all my regular nail polish, went online and purchased my fqvorite colors. Thank you Kiara Sky i can finally do my own nails at a fraction of the cost with absolute stunning results. First time I used tips and tried ombre french. I have never done any kind of acrylic nails before. It turned out amazing and was so much fun. Totally impressed!!! I think my family and friends are sick of hearing about it. I couldn't recommend these products enough!! A must try if your a DIY kinda girl!! Fairly easy. Works as described. Takes some practice though. At first i saw these amazing tutorials at Instagram. Went to YouTube for Some more video's and then ordered this starterpack. It's very easy to use and the results are great! I love it Thank you! It was so simple to apply!! The starter kit is the best way to go if you have never done nails before. Although I do wish that a nail file came with it. And I didn't see instructions for filling them or taking them off in the instruction paper. I have already recommended the Dip Powder Starter Kit to everyone I know!! I love love love it!! This kit is perfect if you don't have any of the products already hence, starter kit. It has everything you need for french nails, and I even use the shade 'Dark Pink' on its own. I do suggest getting an extra Base bottle as you will be using that the most and you would only be paying for shipping once. I shipped to Canada and payed an additional $30 in border taxes. The whole process is so easy and quick! It ends up strong and durable and the top coat is shiny and STAYS shiny...I've been wearing them for a week so far and no scratches! I definitely recommend this kit, I'll be saving so much money compared to getting my nails done at the salon all the time. LOVE IT!!! I love this kit have been wamting ot for a while and finally got it and is by far one of my best beauty investments, so easy to use and super fast, without the nail salon smell. Nearly perfect nails every time and fills are so easy. I love that i dont have to waot for an appointment at a salon anymore,or wait hours for walk in availability. Very happy and very impressed. I haven't used all the powders yet but the system was very easy especially for a beginner. Love Love Love this Kit!!!!! If you use the YouTube videos along with the included instructions you cannot mess this up! This is exactly what I was looking for to add a layer of strength to the top of my natural nails! I am so looking forward to purchasing more dip colors. I'm so happy I did this. It took me about a month before I finally said screw it. I'm buying it. I don't regret it. It was easy to work with. I followed the instructions they provide as well as watched videos. Ordering some colored dip powder soon. Can't wait to see how that turns out. I've tried many dip systems before Kiara Sky, all were messy and had terrible chemical odors. Kiara Sky is the best nail enhancement system I've ever used. No more expensive, time comsuming trips to the salon for me. I'm so happy with my gorgeous nails! This dip powder starter kit has paid for itself in two uses. They charge 45 dollars for a pink and white set in my area. It's easy to use and pretty self explanatory. You do have to get used to how to apply the base to make sure they don't come out too thick and to make sure you don't miss any spots. The powder can't stick to what isn't there. The hardest part is just glueing on the nails and filing them. People have complained about the brushes getting stuck in the bottle and just the caps coming off. This does that because the brushes are replaceable and not molded into one with the cap and the product is quite sticky. All you have to do is unscrew the cap a little and rock it back and forth a couple of times to break the seal. Also get in the habit of wiping off the necks of the bottles or I can see them possibly getting themselves glued on. If you are a nail enthusiast you will love this but order a couple of extra bottles of base when you order because you will run out of that well before the other steps and when I went to order a couple more was told that it still was a flat 10 dollar shipping fee even for two little bottles. Doesn't seem right but save yourself the extra postage and get it to begin with. I love the starter set! The only reason I don't give 5 stars is because I wish it had different color options! I probably won't ever use all the french tip colors this comes with. I just wish they had one with the top 5 most popular colors or something fun like that! Even a build your own starter kit with the colors would be an awesome option. But overall I love the product. I work with acetone all the time and it is nice to be able to have a pretty manicure all the time! Very nice alternative from uv gel!! Stronger and much easier!! The starter pack is the best way to start! Money very well spent!! Thank you! I have been getting SNS for a little over a year which the money spent has really added up. I felt like I have watched my nail tech do it enough times I could do it myself. I found this product of a professional nail tech's youtube video. After watching, it looked just like SNS and the starter kit was 100$ cheaper. I bought this product and absolutely love it. I will say it is an art and does take practice. I did not do my nails as well as my nail technician did, but I am still learning. The product is durable (lasts about a month for a french) and is easy to apply/remove. I highly recommend this product for beginners. So easy to use. Nails are so shiny and beautiful. I can't belive how amazing my nails came out for having to do dip powder for the first time. The instructions are so easy to follow. Great price for the starter kit. You get lots of product in the containers. I can't wait to go further and try colors and glitter dip powder. Innerhalb von gut 1 Stunde hat man eine gepflegte Maniküre in diversen Farben. Einfach, gut beschrieben und mit Videos unterstützt. Did my nails with this product about a week ago and there still holding strong. Was disappointed with the pinks that come with the dip powder system though :( they're strictly for French nails or if you like a stain glass look. Other than the pinks not being what I expected, so amazing. If you ship to Canada ,like I did, be careful. It works out to double the price after everything is said and done. My very first time using nail dip powder. The instructions are very clear and my nails came out perfect!!! They looked like I had them done at a nail salon. If you can paint your own nails, you can use this system. Highly recommend to anyone!!!! Saves sooooo much money :) Only complaint is that the top coat brush gets hard places after the first nail. It would be great to fix that issue. I have been doing nails for over 25 years and have tried so many products but this product is so different from the others . It is so easy to use and very little filing and dries fast. I am loving this product I am buying more. its so easy to use..and since I did my nails its almost 3 weeks past but it stay strong...I did a chip nail for extencions but stills stay good as new! love it! SO much can't wait to use other color's and take note! it came so fast! Im live in japan and didn't expect a fast delievery here..ever since .. I have tried products like this before and they have failed. This Kiara set is great. I've worn it for 8 days now. I like that it is low odor, goes on quickly and easily and does not lift. Everything one needs is in the kit, which was shipped promptly. A minor quibble - the handles of some of the bottles unscrews but the brush stays in the bottle, causing me to have to get a pair of pliers to unscrew the brush. Otherwise, I am very happy with this product. It's fast and easy to use and comes with detailed instructions. The website also has more videos that make this process easy as well! I love these products. Makes doing a set of nails quick and easy. I love the range of colors. I do my own nails at home not a professional by any means and this stuff is so easy to use and I don't have to leave an arm at the nail place! Really great quality! Technique super facile. Beau résultat. Seul bémole, les pinceaux qui se detache du bouchon et reste collé à la bouteille.et les frais de port un peu cher. Mais sinon super produit. I am really impressed by the starter kit I purchased. It was fairly easy and took no time to apply. The video tutorials also were a major help! Actually about to purchase other colors as we speak! Would recommend this product to everyone! Easy to use and quick application for amazing results. I recommend this product to anyone. It was very easy to use. If you can paint your nails, you can do this system. It's that simple!! Can't wait to purchase more colors!! First time using this, and I love it. Great product, very strong nails, easy to use and follow instructions. For Canadian buyers though, shipping cost is a bit much. Pay for shipping then pay fed ex a 30$ fee before it's delivered. My only negative opinion. Otherwise, I would buy it again, in hopes of a lesser cost for Canadians. Great product overall. Very satisfied. The products are absolutely amazing! I got mine last friday and apply it as soon as arrived home, it is faster than other gel systems, no messy, so easy, i love it!!! I just got my Starter Kit last week and I LOVE it!! I can't believe how easy to use these products are! Super ! Très bonne qualité, facil à faire, dommage qu'il n'y ai pas des bons de réductions pour nous permettre de recommander. What a lovely and easy system that you can do yourself!!! Easy to follow instructions, easy to use. Brushes don't get clumpy and gross. Little buffing. My hands are in water constantly due to my profession and this product is holding up better than professional acrylic. NICE! I tried this product for the first time and I ABSOLUTELY loved it! It is extremely easy to use and looks fabulous! Have you been trying to paint your nails for years, and every time you tell yourself, they're going to look fancy-fresh and every time you realize you're just a hot mess with even the finest of Walgreen's nail brushes. Well now, with the dipping system, I swear it feels like....wait for it....Pinterest-worthy nailssss. I don't have to wait for my nails to dry to finish doing things for the day. Gracious, I know I'm not the only one who hates painting my nails, and you think 2 hours later they're set enough to do things just so when you get finished peeing, you end up with color-splotched zipper marks and a mangled manicure with the color of disappointment. Okay, this was something I was faced with when telling people about the dip-kit. I told them, I got a starter kit for $100 bucks, and of course they look at you like, "whaaaat, what's so much dough." But then thank about it, they're salon quality nails just as good as the, "Only ten-dolla' mo, dip good foh-yoo, yoo trust-a-tami" nails and it's enough product to last you for the year. You still want a professional nail experience, use the money you're saving on a manicure to get a super-church'd up pedi with the works. You know the kind where they rub your legs with citrus and smudge you with sage, get knunk with it. New year, new you, right? #ItsWhatTheCoolIGkidsKeepSaying Anyways, one last pro....Even when my life's a hott-mess-express, at least my nails be on fleek, yo. Perfect product starter kit and quick delivery (4 days). California to Switzerland. The shipping is unfortunately a bit expensive. I tried the product as soon as i got it and loved it. I love that you get the cuticle oil and brush saver along with the other 4 bottles plus the 3 different pinks, white, and natural dipping powders. You also get the french manicure dip casr and few extra brushes to swap out any damaged ones with. The other company i tried was more expensive and didnt even give you all that i got with this kit. I loved it all from the products down to the packaging!! The only reason i didn't give it the 5 stars was because of the base and gel top coat. When i opened both products to use them, the plastic pieces to the brush came off the bottle and i had to struggle a little to get it loose enough to reattach to the handle (lol if you know what i mean, i cant remember proper names right now). but after i managed to get them unstuck and where it needs to be to use the brushes the rest was a breeze. And really enjoyed the product. I would highly recommend this product if you like the dipping system!! Have been having fun with this dip system! Really like it so far. I feel like a pro! This is a great product, the packaging is so pretty. The step by step directions make so easy to use! I'm not a professional but now I can have professional looking nails on my own time. I love the colors and that they dry so quickly. My only complaint is that on several of my bottles when I first open the lid my brush was stuck in the bottle. This kit is so easy to use. My #1 tip is to watch the Kiara Sky videos on YouTube. You'll get a much better idea of how the products work. At first, the amount of steps seems daunting, but once you get the hang of it, it's easy. My nails look amazing and won't chip. It's a dream come true. The way this kit is set up is easy! Quick! And completely satisfying! ... by just following the easy set by set directions ... is common sense really .... after practicing on my 19 year old cousin I had it perfected on the first nail... just follow exactly what the directions say ... and be neat ... I was neat and careful so I hardly had to shape the nail with a file ... there was NO clumps to file.. it was already nicely shaped.. all the girls in my family can't wait for me to do their nails lol ... definitely purchases more dip powder colors ! Sooo Easy and Looks Amazing! I've always had a problem with my nails, it didn't matter if I put nail Polish or Gel, after 3-4 days the Polish was broken and I could take off the gel like a simple sticker! Now I am using the kiara sky dip powders since 2 months and for me it's like the best invention ever for my nails. They grow better, the application of the products is easier than anything else, it has never get broken and it doesn't peel of !!! and also my nails feel harder and I can see that they are way more healthier than with gel because they are very white! And the colors are really beautiful, and the costumer service is also very nice and quick if you have any trouble. I am very pleased! I can do my nails by myself! Its so exciting! Anyone can do this with great results! If you can polish your nails, you can use and get great results with the dip system! Just follow the directions and keep the liquid coats light. My French manicure looks absolutely professional. No drill is needed so no damage to your nailbeds and you get the protection of acrylic without the thickness. I can do my nails in the comfort of my own home. There is no harsh smell and there are actually vitamins and calcium in the ingredients. The system pays for itself in three uses and the amount of product provided is professional size so it will last a long while. I love it! I'm obsessed with this dip powder!! It turned out to be easier than I thought! My advice would be to make sure you let your nails air dry ALL THE WAY when the directions tell you to do so, otherwise the nails will not turn out shiny! Its so fast and easy to work with. We love the product. I even began to do my own nails again. After I bought this I'll admit I had some buyers remorse whilst I waited for it to be shipped. With shipping it ended up costing about $200 (Australian). As soon as it arrived the buyers remorse was gone, this was so easy to use, my nails feel and look fantastic, and I'll never have to pay $50 to have someone else do it again. If I use this four times (I definitely will) then it's like I got it for free with the money I would have spent having them done in a salon. Very excited to purchase some more colours! Even if you're a total beginner, you'll love this, and you WILL get your money's worth out of this system quickly. I recently bought the starter kit and it's amazing!! So easy to use and it looks great. I'm not a professional and I've never done anything like this to my nails so I was shocked at how nice it came out. Used the pure white on my entire nail and the white stays white!! Simple instructions. I would so recommend this to anyone!! That's how simple it is. I'm in absolute love with the dip powder, easy, fun, and dries super fast! Product is wonderful! Perfect smile line every time. Product is light and no damage to my nails during removal. I am hooked! I am shocked that an inexperienced person like myself can actually pull off a professionally looking salon quality manicure. I love this system. I plan on ordering more dip products in the future. So easy to bring on and waaaauw! Super Nice! Was a SNS user, found this product as a at home alternative. I have on Kiara Sky dip powder... So far it's holding up pretty decent. Can't way to perfect my usage of this system. The Dip System that stands out from the rest. Very professional results that are easy to obtain In the minimal amount of time. Appearance, strength with Elegance. A revolution in nail beauty. I bought this to see if it was an alternative to the brand I was using and I'm never going back. this product is great, izzy to work with, looks amazing and so far has held up great. it's only been a few days so I hope I get the regular 2-3 weeks out of it but as of right now my nails feel super strong. also I'm an accountant and touch money including coins all day and with my old product the shine of the nails would fade rather quick. not with this. still looking brand new like the day I did them! Used for the first time today and am over the moon. Was a fan of a similar system but am a total convert to this. Do not hesitate to buy this!!! Love this! I'm not a professional but this is so simple to use and there are so many color options. Makes my nails looks like they were professionally done! Love love love !! I'm no nail experts except from watching utube and ig videos.. this kit was fairly simple to navigate through. I did wish the instructions came in paper form with the kit verses having to find the video but other than that this is a great buy. I tried the ombre style my first time and ended up topping the nails with a clear gel cover to make them look better minus the grit look lol. I will never pay to have my nails done again! This is a great product for the average person wanting to make thier nails look Salon fresh! I have never done such a great job on my own before. This is such an easy and durable product. My only con is that they don't have a matte option. Wonderful product. I am not a professional, but I could easily create french manicure with the starter kit.